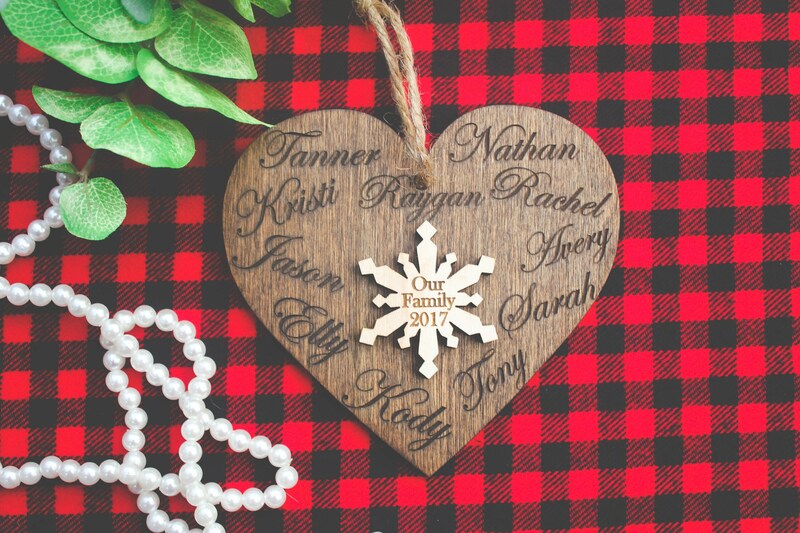 Personalized custom wood ornament family names. 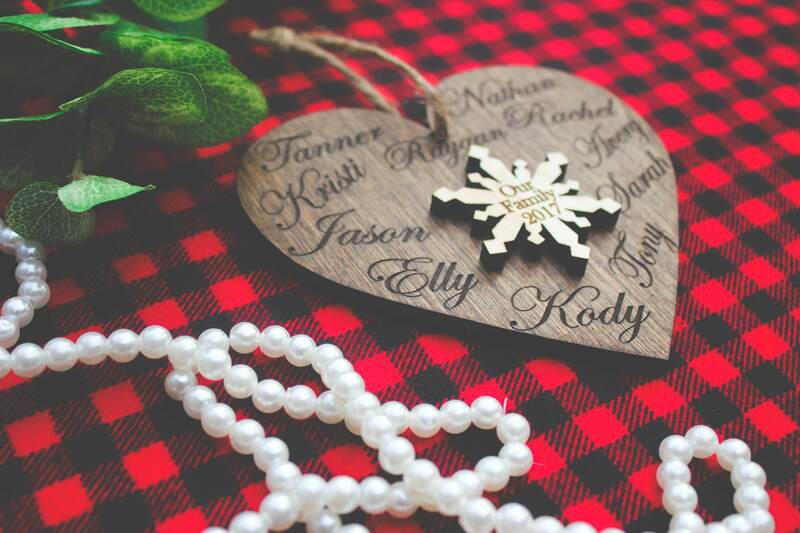 This listing is a personalized family name wood ornament <3 Please let us know at checkout in the note section the names you would like - PLEASE DOUBLE CHECK SPELLING - we are not responsible for typos. 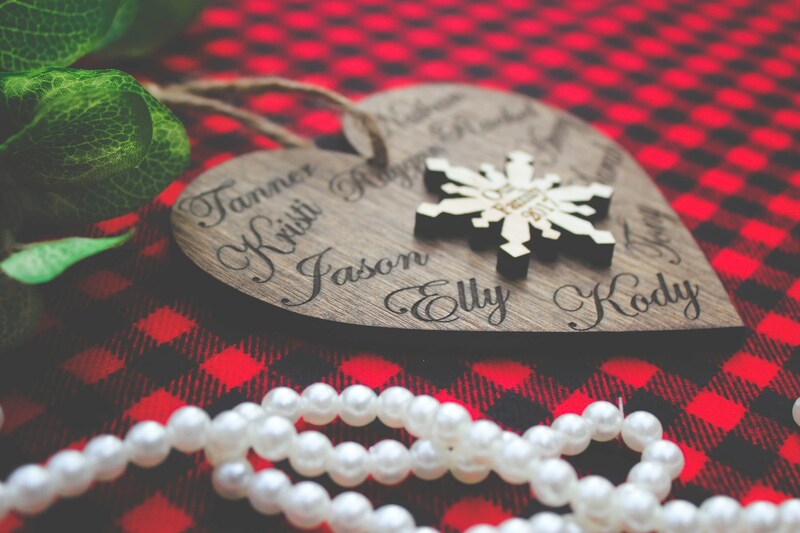 Measures about 5.5" wide.